In honor of Australia Day, Twitter put together a series of hilarious videos with Americans tasting Vegemite for the first time. For Australians, the stuff is a well-loved delicacy. For Americans… Not so much. But what is Vegemite, exactly? This snack from down under is a thick, gooey spread made from brewer’s yeast extract. The extract comes from collecting any yeast that’s leftover after brewing beer. They mix the yeast extract with vegetables and a combination of spices, before being sealed into packages and sold to Australians of all ages and walks of life. In Australia, this dietary staple comes in both jars and pouches. You can buy it in a new, cheesy flavor or stick to the original. When it comes to serving it up, it might be baked in a pie, ground into sausage or even made into ice cream. Believe it or not, It might also be served up in your favorite Cadbury chocolate bar. This unsuspecting woman didn’t say anything; she just spits it out. Apparently, people in Canada don’t like Vegemite either. More Americans Sample the Joys of Vegemite. Early in January, Andrew Olivo posted this video to YouTube. It shows his brother trying Vegemite for the very first time. Watch his hilarious response below. Of course, he wasn’t the only one who decided to give the down under’s favorite snack food a try. Bodybuilder Calum Von Moger samples Vegemite, and his response is like the others. 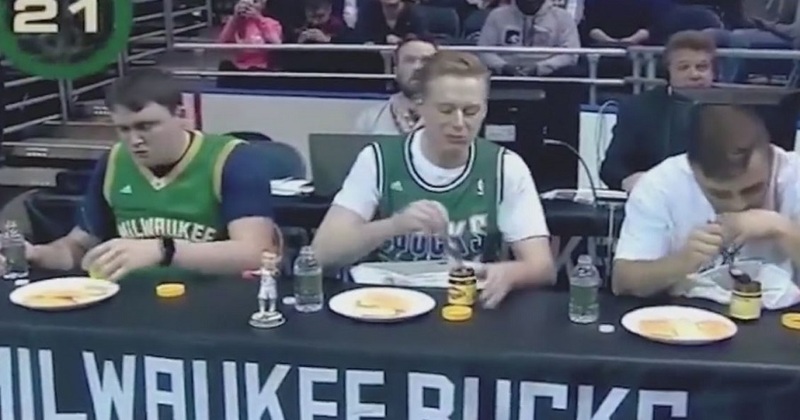 Milwaukee Bucks fans also got into the spirit of Australia Day with a Vegemite eating contest. These devoted fans must love their team a lot. Watch the video below, courtesy of Daily Mail UK. Those aren’t the only funny videos you’ll find of Americans trying the Australian staple. Celebrities Will Ferrell and Kevin Hart sampled Vegemite during a 2015 appearance on Australian National Rugby League’s The NRL Footy Show. Watch the video below via YouTube. Jimmy Fallon is another of the many celebrities who have taken the Vegemite challenge with laugh-worthy results. Watch the YouTube clip from NBC’s Tonight Show Starring Jimmy Fallon. If that’s not enough, down under celebs Dane Swan and Steve Price recently went as far as to slather themselves in it, before engaging in an on-air kiss. The kiss took place during a January 2017 episode of the country’s TV show, “I’m a Celebrity Get Me Out Of Here.” The show takes real-life celebrities into the Australian jungle, where they face hardships and frustrations all in hopes of winning a $100,000 prize for a favorite charity. While the whole thing was in jest, the Vegemite kiss is something many Australians will never forget. 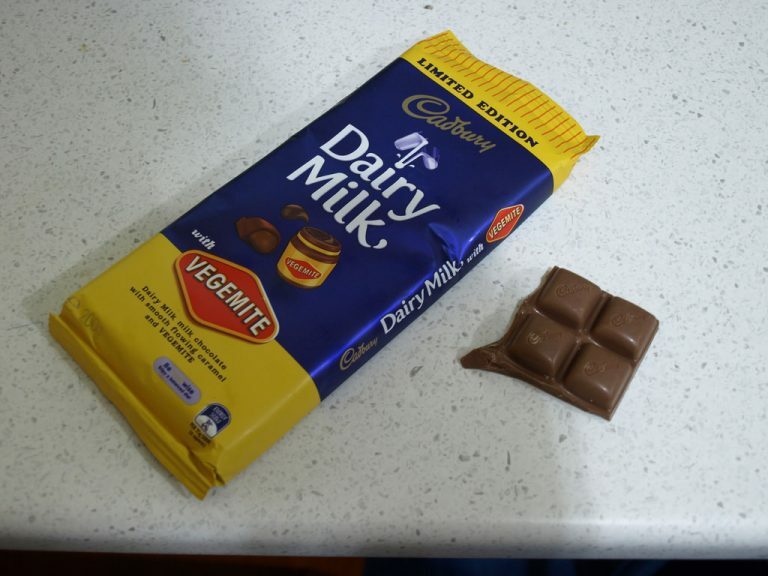 No matter how hard they try, most Americans just don’t seem to share the Aussie’s love for their national foodstuff. Steve Harvey best summed it up during an episode of his television show, Ask Steve. Watch what happens after a female guest invites Harvey to taste what’s in the jar. Video via Steve TV Show on YouTube.